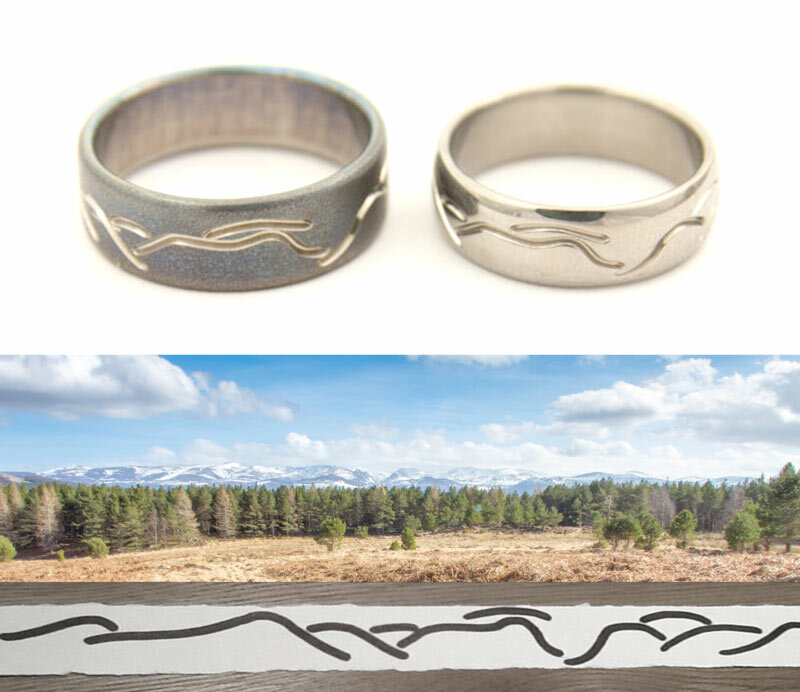 June | 2013 | What's New at Rainnea Ltd.
We made this pair of wedding rings for Barry and Polly who drew their own design based upon their view of the Cairngorm mountain range. Here’s a special set commissioned by Ella in California (who is originally from Aberdeen). 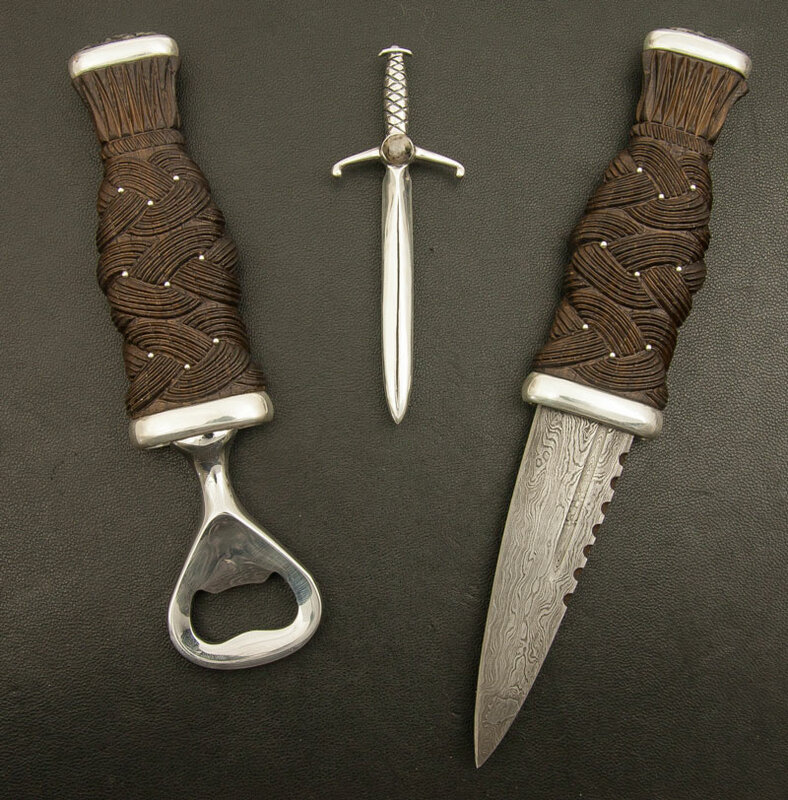 It comprises of a matched set of Sgian Dubh and Sgian Brew with handles carved from an Isle of Jura Whisky barrel and Aberdeen Granite pommel stones set in Sterling Silver fittings. The silver kilt pin also features the same Aberdeen Granite, cut from the same piece of stone as the pommels.